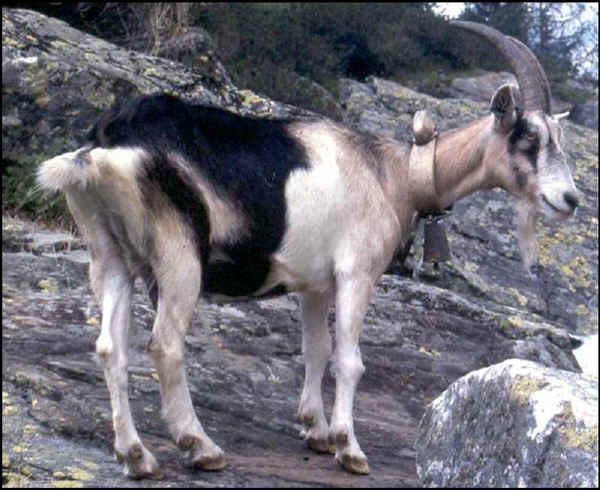 This breed belongs to the alpine goat from Val Chiavenna (province of Sondrio – Lombardia), where it is commonly reared; very suitable to mountainous grazing. Variously coloured with short hair coat, with horns. A dairy breed, it is reared for meat as well (kids and animals to the final stage). A typical by-product is “Viulìn de càvra de Ciavéna” from salted spiced thigh and shoulder, aged for 2-3 months.